Sharon T. Sager/UBS Financial Services, Inc.
Sharon T. Sager is a senior vice president and private wealth advisor at UBS Private Wealth Management. A CIMA, she began her career in financial services in 1983 with Kidder Peabody & Co., which was acquired by Paine Webber Inc and then by UBS. Barron’s has named her to its Top 100 Women Financial Advisors each year since its inception in 2006. She has appeared on CNBC’s Squawk on the Street and Closing Bell. A native New Yorker, Sharon began her career in textiles and fashion upon receiving a B.A. from The College of Mount Saint Vincent. 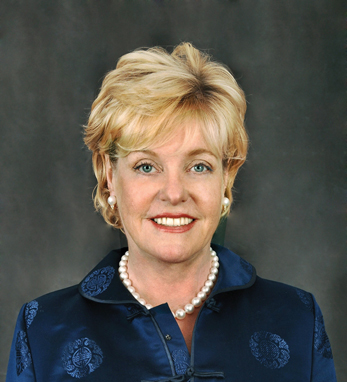 She is co-chairman of the Board of Overseers for the Alzheimer’s Drug Discovery Foundation, secretary of the board of directors of Careers Through Culinary Arts, a member of the Chairman’s Circle of the James Beard Foundation, and an active member of The Economic Club of New York and the Financial Women’s Association. Sharon is a mentor with the CEO-UBS Small Business Advisory Program. Sharon is a second-generation Irish-American. Her father’s family, the O’Tooles, are from Galway, while her mother’s family the Carrolls, hail from Cork. She and her husband, Loring Swasey, live in Manhattan and in Remsenburg, Long Island.